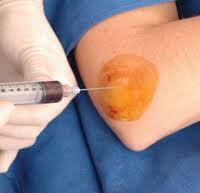 This is an inflammatory process that affects the other aspect of the elbow, can be an acute or chronic problem. 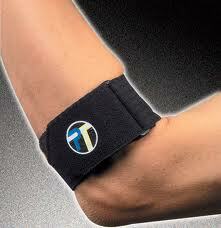 Pain in noted over the elbow bony prominence, and weakness of the forearm/wrist muscles can develop. This image represents the outer arm muscles and there attachments to the bone. 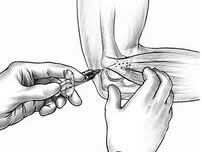 Epicondylitis involves inflammation of this area and may if chronic even have partial tears of this muscle group.